kinds of shapes & sizes. 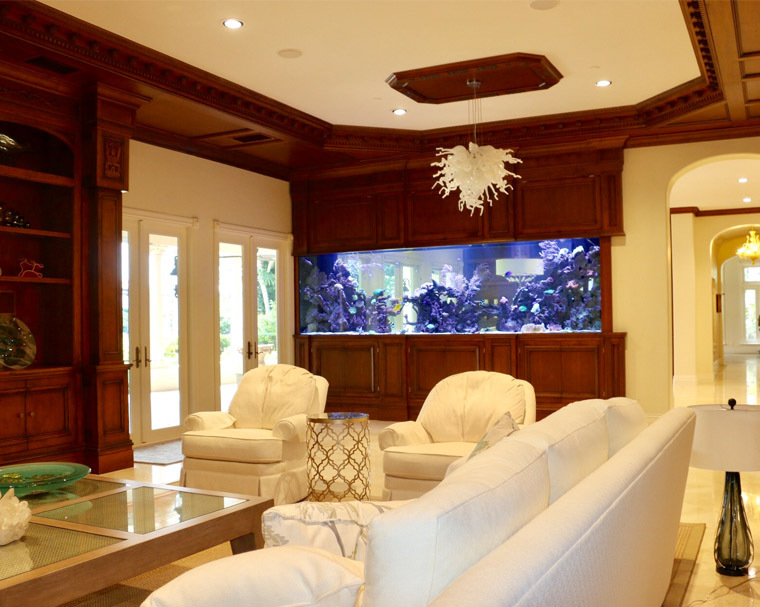 Magnificent Aquariums has extensive experience in designing custom marine aquariums offering professional fish tank service and maintenance plans. From luxury home aquariums to hotels, businesses, restaurants, educational touch tanks and world class zoo exhibits, we have done it all. 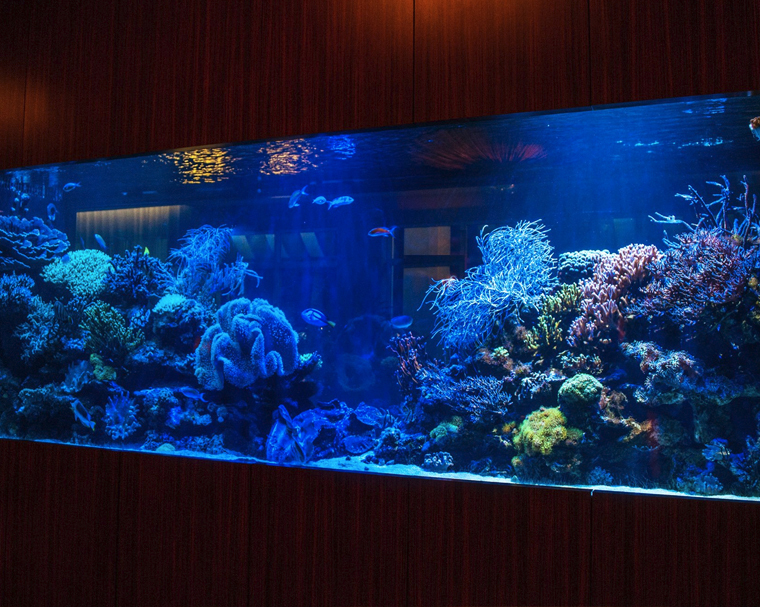 A living reef aquarium consists of a live rock base filled with living corals, flowing anemones, and magnificent invertebrates creating a beautiful reef within your custom aquarium. Faceoff with a shark, visit with a clownfish? 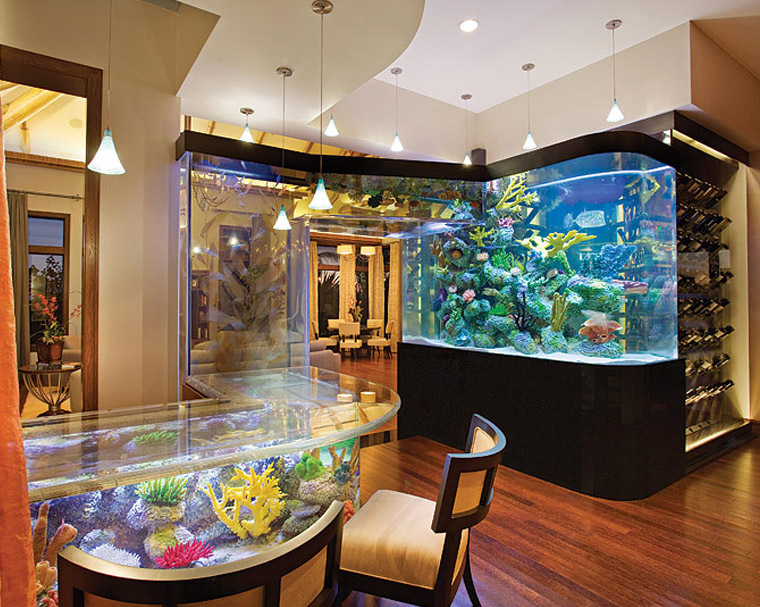 The marine world offers a variety of splendid environments to which your custom aquarium may be designed. 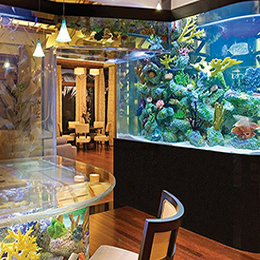 Magnificent Aquariums will create the most docile tropical environment or the most ferocious aquarium you envision! 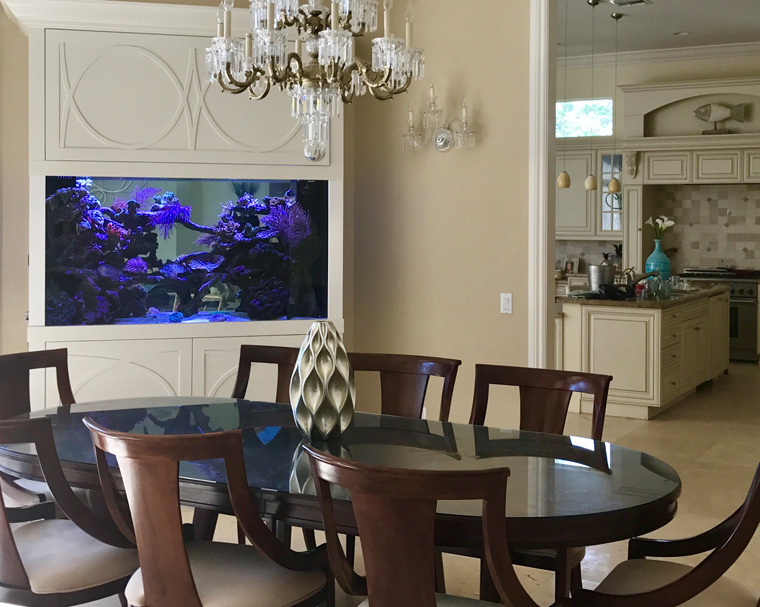 Magnificent Aquariums will build your custom cabinets, collaborate with interior designers, and work side by side with architects. 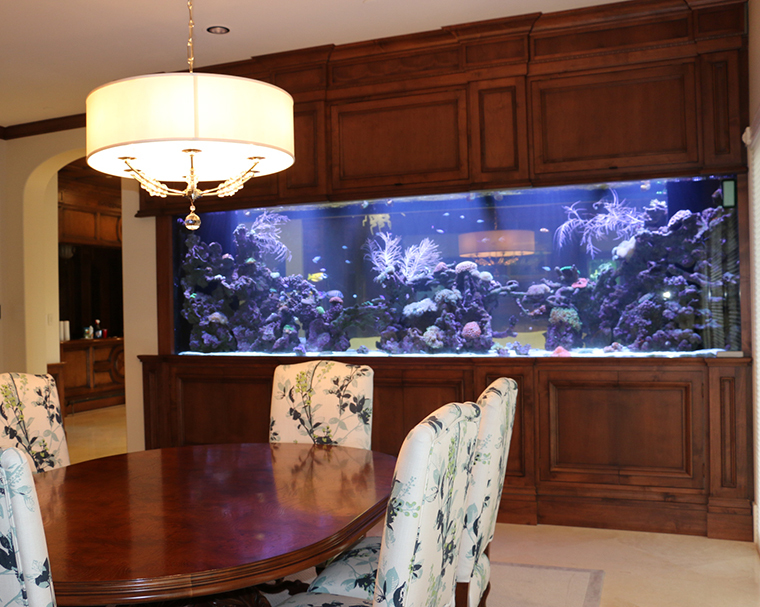 We design, create and install Custom Aquariums for private residences, resorts, businesses, zoos, educational tanks and public exhibits. 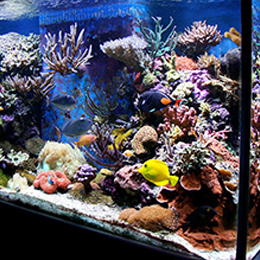 Magnificent Aquariums in-house staff is professionally trained to service your aquarium. 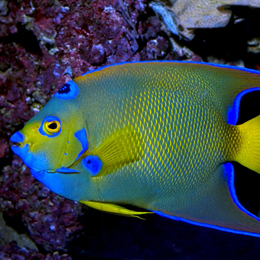 Weekly aquarium maintenance is a simple and hassle-free way to keep your saltwater tank healthy and pristine. Our service personnel are skilled in advanced aquatic maintenance as well as superb marine fish care.